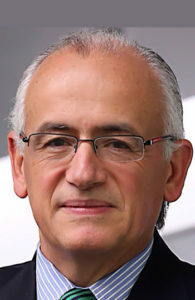 José Navarro, General Director, E.J. Krause Tarsus de México and Chairman of the UFI Latin American Chapter. José Navarro, General Director, E.J. Krause Tarsus de México is also the Chairman of the UFI Latin American Chapter. He along with Paul St. Amour, Vice President of E.J. Krause Tarsus de México are presenting the Viva Mexico! session at the upcoming Latin American Conference September 18-19 in Mexico City, Mexico. I had a chance to catch up with José the other day. What can you share about the Mexican exhibition market these days? Shows here in Mexico have become even more professional since the entry of international companies. They are very high quality. Even small organizers are investing more money into providing more value and content in their exhibitions. Like the rest of the world, the Mexican exhibition market itself is quite fragmented. Twenty percent (at most) are international, big organizers. The remaining 80% are small organizers or associations, most of whom have one or two shows. Many of these shows are regional or local expos. Also, like everywhere, digital has exploded. What kinds of change have you seen with the influx of international organizers? International companies are doing deals with Mexican organizers. They are finding good established shows and are improving them. For example, since international organizers may already have expos in other countries in the same sectors, they help attract more international exhibitors and visitors. What countries or regions are you seeing the bulk of international exhibitors and visitors coming from? Many are from Latin America. It’s easy to get to Mexico and most speak Spanish. There are shared markets, common problems, and common solutions. Additionally, Mexico has over 25 separate bilateral, trilateral (NAFTA) and multilateral (TPP) agreements. What makes Mexico so attractive to exhibition organizers, exhibitors, and visitors? Mexico’s economy is good, especially when comparing it to the rest of Latin America. Shows are performing well, and even outstanding for some industries. For example, Mexico is the 4th largest exporters of cars in the world. So related supply sectors have also grown as a result. There is a growing middle class, therefore consumer goods are also in demand. Other areas of growth are environmental and food & beverage. Basically, economic growth triggers the need for more of everything, and trade shows are where people go to find what they need. For a number of years, many international organizers attempted to enter the Mexican market and failed miserably. No longer! What do you credit this to? The difference now is their way of doing things have adapted to the Mexican culture. I don’t think geo-cloning or geo-adapting have been successful. When companies geo-and-culturally adapt, they have found success. Concentrating on the people is the most important part of being successful here. Learn more about the Mexican exhibition market at the upcoming UFI Latin American Conference at Jose Navarro and Paul St. Amour’s session, Viva Mexico! on Wednesday, September 19 at 15:00. You may also follow #ufimexico on Twitter.